This queen-size memory-foam mattress is 10 inches high. It weighs 69 pounds but has no grips for handling. The Leesa Leesa Foam Mattress is part of the Mattress test program at Consumer Reports. In our lab tests, Mattress models like the Leesa Foam Mattress are rated on multiple criteria, such as those listed below. Petite side sleeper: Sleepers small in both height and weight. Average side sleeper: An average of both the petite and large scores that applies to many people. Large/Tall side sleeper: Side sleepers who are above 6 ft 2 inches tall and/or 220 pounds. Adjustable frame Adjustable frame Adjustable bed frames will allow the head and foot sections to be raised and lowered independently. Note: Some manufacturer's beds will only be compatible with their own adjustable bed frames. Mattress-in-a-box Mattress-in-a-box The mattress will be delivered to your door compressed and rolled into a box to make it more manageable. Some boxes will be approximately 42 inches tall, 20 inches wide and 20 inches deep and can weigh between 60 and 120 pounds. Where to buy Where to buy The location where we purchased our tested sample. For additional locations, check the individual model's ratings page. Type Type Indicates the main composition of the mattress, such as innerspring or memory foam. Some so-called "hybrid" innersprings include one or more levels of foam on top. Dimensions LxWxH (LxWxH) Dimensions LxWxH The mattress's dimensions, length by width by height, in inches. Latex foam Latex foam An alternative to memory foam. Gel-infused foam Gel-infused foam A layer of foam infused with gel, which is claimed to make you feel cooler in bed, especially with memory foam. 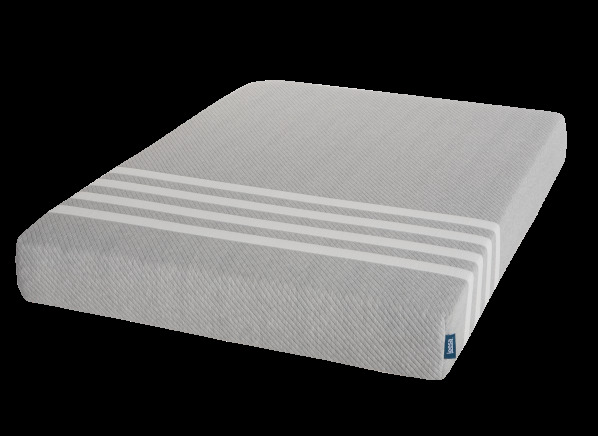 Resists bounciness Resists bounciness Indicates whether the mattress can absorb impacts, minimizing the bouncy feeling you might encounter while changing sleep position. Eases movement Eases movement Indicates whether the mattress has enough resilience to allow easy changes in sleep position. Grips Grips Helpful when handling the mattress. Retains warmth Retains warmth Some mattresses are more insulating than others and trap body heat, making you feel warmer.